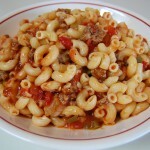 Recipe by Dee Hutchins-Reynozo ~ My Mama's easy recipe for classic goulash! Brown ground beef until done. 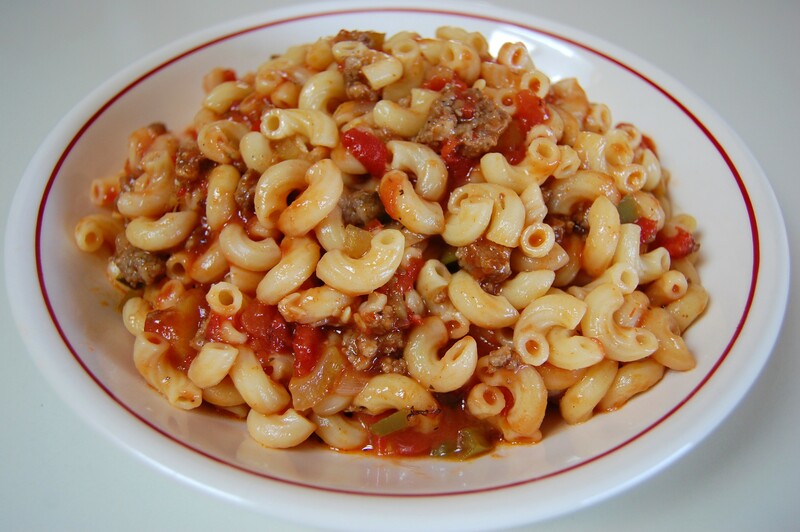 Add garlic, onions, green pepper, tomatoes, tomato juice, macaroni and salt and pepper to taste. Cook on medium-low heat for 35-45 minutes. Serve in bowls with a sprinkling of parmesan cheese.